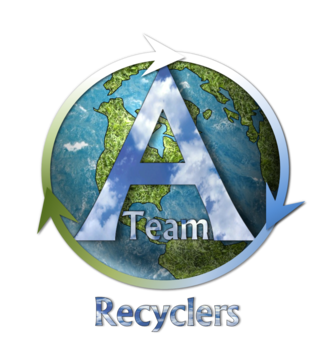 A-Team Recyclers offers comprehensive electronics recycling services for residents, businesses, and community organizations in the Greater Chicagoland area. We’re your one stop shop for electronics recycling, offering a suite of services and options to properly dispose of your obsolete electronics. We properly handle the electronics at all times and separate their raw materials so they can reenter the manufacturing cycle. With electronics recycling, electronics are disassembled and we do our best to salvage any relevant components in good condition. Unsalvageable components are broken down into raw materials. Witness the destruction of your data-containing devices with our onsite mobile shredding technology. We offer solutions to minimize replacement costs by purchasing re-marketable IT devices that meet market requirements. Our end of life process guarantees that specified material will not be re-used. Inventory recording reports are available upon request and include the make, serial number, and asset ID of all whole unit devices received. We provide a Certificate of Recycling upon completion of each job as proof that they have been responsibly disposed. Let us come to you! We’ll collect and package all electronics and then transport the collected material to our secure facility to be disassembled and recycled. Host an electronic collection event with us! We will will plan, coordinate, staff, collect, transport, and process all collected material–and you can take all the credit.